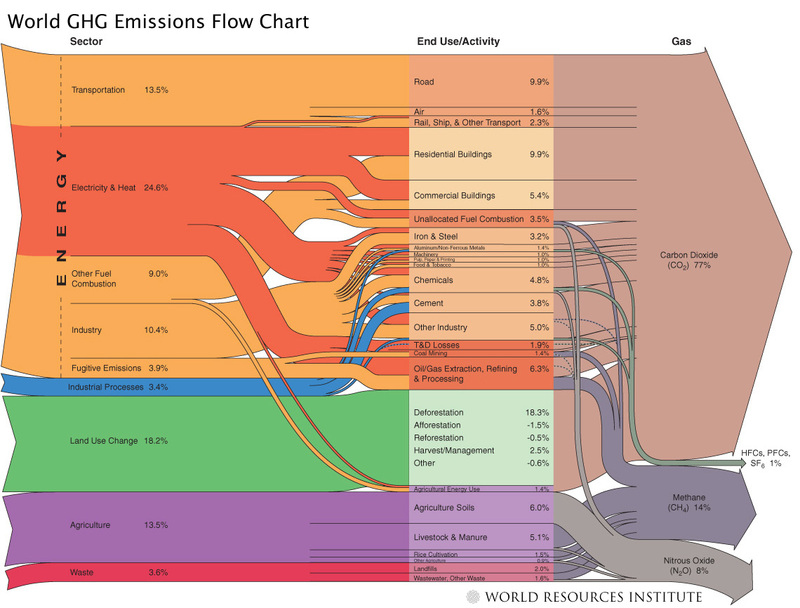 What are the sources of GHG emissions worldwide? Here is a handy chart from the World Resources Institute, via the Resilience Science blog. ← The USA’s Place in the World in 2016?